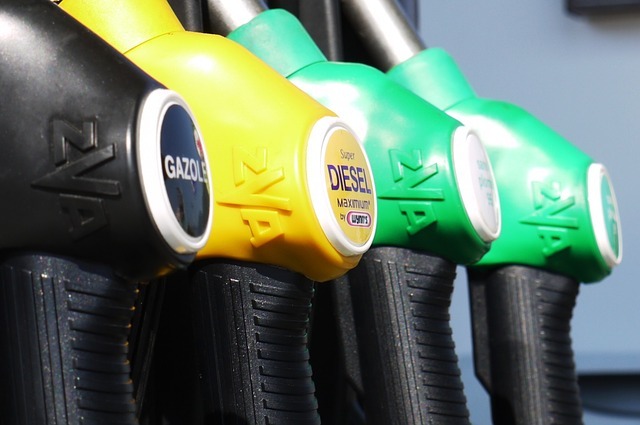 Last year, I wrote a post where I listed 8 tips to reduce your fuel budget. I definitely recommend everyone adopt these tips. So why doesn’t everyone do these things? They all require constant discipline. Some people just don’t like having to think about how to save fuel. So in this post, I’m writing about modifications you can do to your car in order to improve your MPG. Once these modifications are finished, you’ll get better MPG each time you drive – no matter if you think about it or not. As exhaust exits your engine, it gets restricted in a number of ways. In an internal combustion engine, restriction is a terrible thing. It negatively impacts efficiency. You can increase your MPG by installing a less restrictive exhaust system. Think about blowing through a straw… the straighter the straw and the bigger the circumference of the straw, the easier it is for you to blow through it. The exhaust for your car ideally should be large and free of sharp bends. The cheapest way to get this done is to go to a well-respected metal shop that will custom bend an exhaust for your car. I know it sounds expensive but it can be done for a few hundred dollars. Tell them your goal is to increase MPG. They will no doubt want to delete the catalytic converter. Keep in mind that doing this custom exhaust may make your car louder. You can put a silencer on if need be. Also, the catalytic converter is what cleans the exhaust before it enters the atmosphere. So without a converter, you’ll be polluting quite a bit. But remember that you’ll also burn less fuel. You’ll have to decide which is less harmful for the environment. You can buy an aftermarket air intake system to help your car breathe better. It will allow colder air into your engine. Engines run more efficiently when they are given cold air. A bonus, just like with the exhaust, you create more power as well. Sometimes in life you really can have it all. Expect a 3 to 4MPG difference once you install a cold air or ram air intake system. You can even buy more fuel efficient tires for your car. These tires provide less rolling resistance. You can find these types of tires anywhere but I recommend tirerack.com. Everyone knows that reducing weight improves fuel economy. If you drive a mini van full of children and hockey equipment, you’ll notice an increase in fuel consumption. But with that being said, you’re not going to reduce any serious weight in the interior of your car. The best way to reduce weight is to reduce the unsprung weight – meaning, essentially, buy lighter wheels. Every 1lb. lost of unsprung weight equals about 4lbs. of sprung weight. Lose just 20 pounds by buying a lighter set of wheels and you’ll have essentially lost 80 pounds of sprung weight. That’s like carrying one less small passenger. Feel free to sell your old wheels on Craigslist or eBay. That will recoup all or most of the price of your new wheels. Tirerack.com has a great selection of wheels as well. Of course, you can search Craigslist for a good set of used wheels. Just make sure they are lighter than your stock wheels. Google is your friend. Click here for a scientific explanation of the difference between a wing and a spoiler. Basically a wing creates up force while a spoiler creates down force. So, of course, your car only has spoilers. Typically, spoilers are placed on cars for appearance sake only. However, sometimes they are placed for necessary down force. Sometimes they are placed on the rear of the car to keep dust off the back window. Generally however, they are just placed for appearance and thus only really reduce your fuel economy. I have a friend who owns a Mitsubishi Lancer Evolution. He took off his massive trunk spoiler and now claims to have seen a 3-4MPG increase. I believe him. Plus, he was able to sell the spoiler on eBay for several hundred dollars. If you want to get better mileage but don’t want to buy a more fuel efficient car, consider doing some light modifications. All of these can be done at a low cost with little effort. Enjoy modding!